A Florida woman allegedly punched a convenience store employee in the eye after the worker demanded the return of a bag of Cheetos Puffs that the suspect had stashed “under her sundress in her groin area,” according to cops. Melissa Mower, 49, last night sought to steal the Cheetos and a six-pack of Bud Light Lime (total value: $13.11) from a store in Indian Rocks Beach. But when confronted by an employee as she walked out of the store, Mower returned the beer, “but did not return the Cheetos,” an arrest affidavit reports. Mower, seen at right, then crossed the street into a wooded area. For some reason, worker Holly Harris followed Mower in pursuit of the stolen Cheetos. 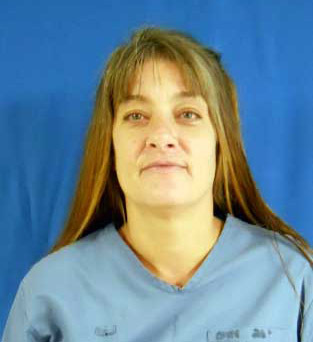 Charged with theft and battery, both misdemeanors, Mower--a convicted felon with a lengthy rap sheet--was booked into the county jail, where she is being held in lieu of $650 bond.